Today in town was a big day for rummage sales. There was on at our preschool and one at one of the big churches, plus many others garage sales around town. I love this day…love. My thrifting heart waits for today. But not today. I’m not sure why, but this morning I was up and ready to go before 8, and I didn’t go. I just sat in the quite house (everyone was still sleeping) and drank a cup of coffee. I enjoyed every sip in complete silence. This morning that was what I needed. Fast forward a few hours, I got the thrifting itch…the need to go out and find some deals. I have been telling Hubby (the virgin thrifter) about my favorite thrift shop for years, he had wanted to check it out but there was always a reason not to go. Bad neighborhood, he had homework, it’s saturday and my favorite “isn’t it to dirty for the girls?” But today, he said “maybe we can go to that thrift store” DONE!! Off to Thrifttown we went. This is my favorite thrift store for a few reasons, 1. it’s clean- inside 2. it’s very organized 3. it’s even organized by color after size- love! 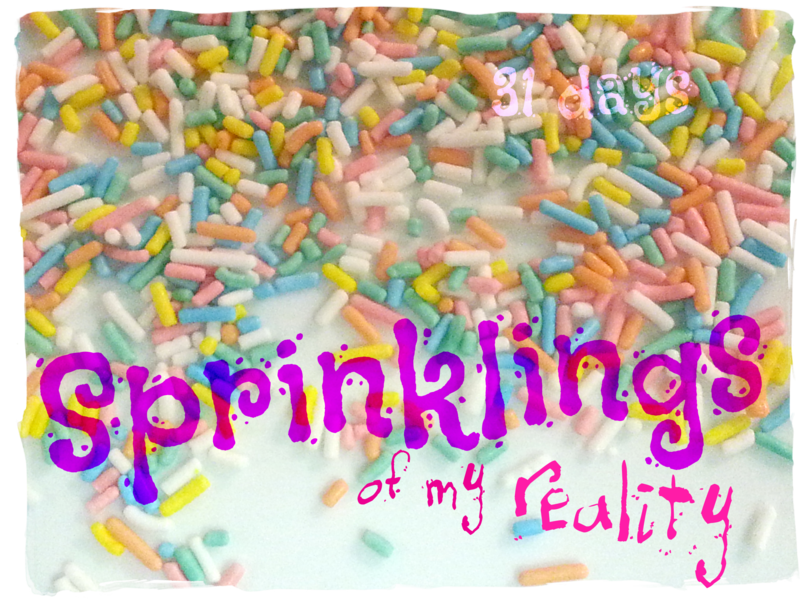 4. the deals are amazing and 5. there is always something new. It is true that it is not in the best of neighborhoods, but I have never had an issue there except for some crazy people. After about an hour for wandering around and one crazy person encounter, we found some great things. 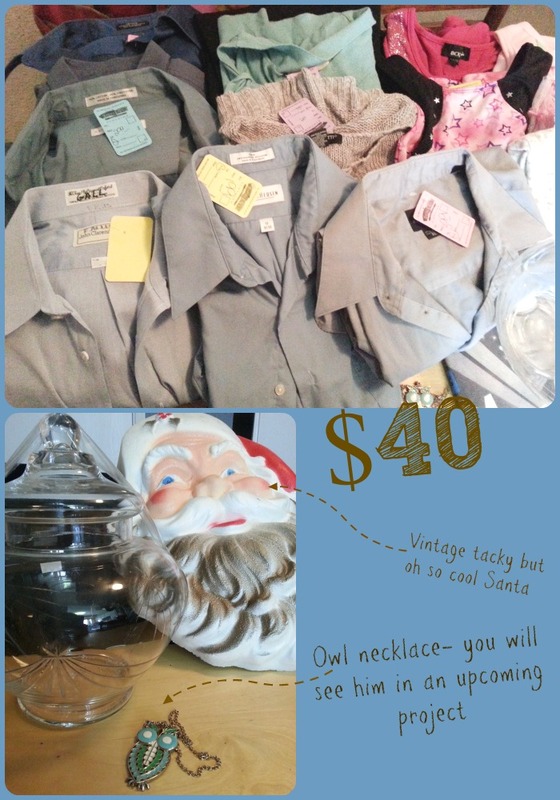 We spent $40 and got- 7 practically new dress shirts and 1 pair of slacks for Hubby, 2 tops for me, 4 shirts and 1 dress up dress for Kiddo, 3 pants, 1 dress and 1 sleep sack for Sneaky B, a fab crystal apothecary jar, 1 vintage tacky but cool Santa head and 1 owl necklace. Happy day! One of the best moments of the day, Hubby saying “That place was cool. I see why you like to thrift.” Ah my man is not a virgin thrifter anymore. Owl necklace!! So cute. Love that Santa, too. Way to go, J, for giving thrifting a shot! Love it. Best comment ever, from hubby! Thrift Town always has something for any and everyone! Glad you were gentle with John and his introduction to the World of Thrift shops. Great choice, wish I was closer!